Future creeper and onesies for any organization. 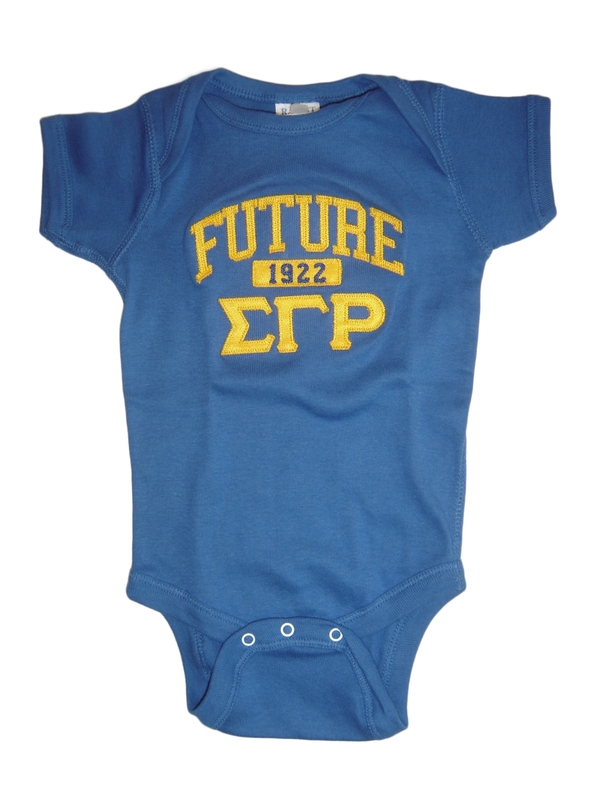 Create your own for you baby boy or baby girl. Available in newborn, 6 months, 12 months, 18 months, and 24 months. Embroidered. Customize it for any organization.